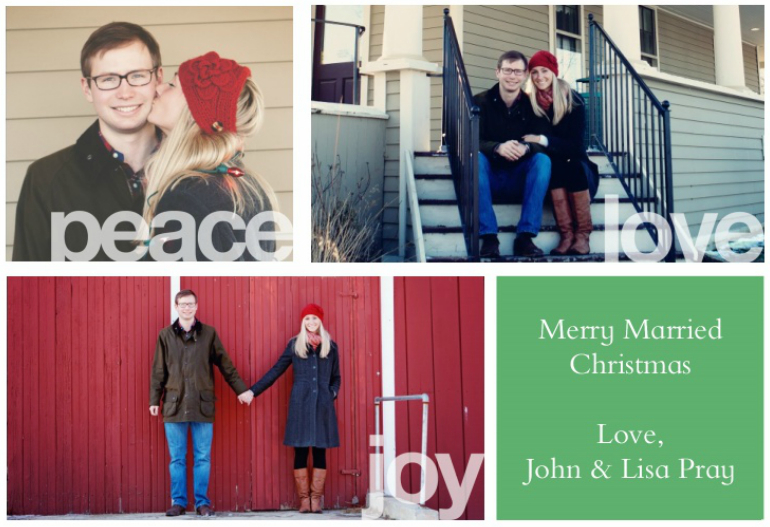 Lisa loves John: Christmas Card Throwbacks! Eee, I love Christmas cards! I do, I do, I do! This year's cards have been ordered and are going to be making their way to the mailboxes of our friends and family very soon! Have you sent yours yet? I never know when the best time is... so I always shoot for the second week of December (I am pathetically calculative when it comes to Christmas cards...). I love 2011!!! Still can't get over how gorg your pictures are from this year!!!!! These are gorgeous and I love the sneak peak form this year!! Such great pictures!!! I go all gaga over Christmas cards too! You've had some cute cards, and the sneak peek of this year is gorgeous! I always put a collage on the back of our year. I so enjoy looking through the pictures from the past year, and the extended family does too! STOP it! These pictures are just the cutest in the world! 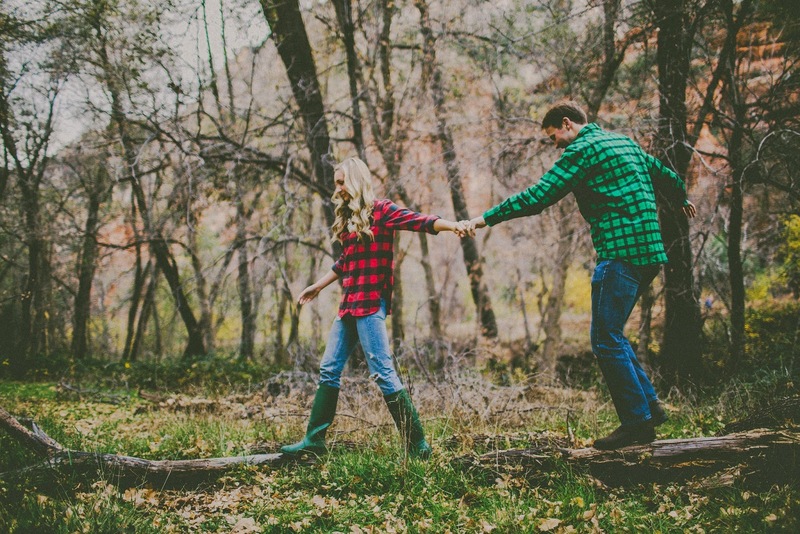 I love the ones of you guys in your flannels trapesing through the woods! 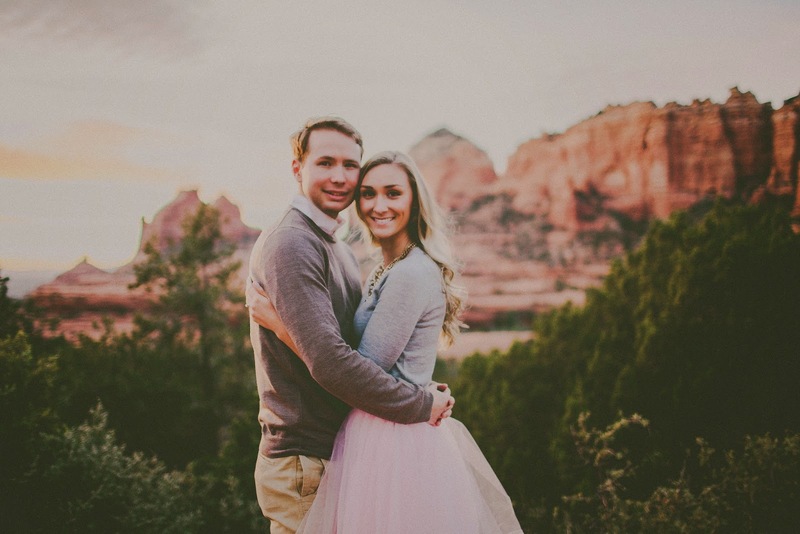 And that pink tutu dress in the desert sunset! Lisa, you nailed it girlfriend! Hello to the most amazing christmas cards this year! LOVEEE!!! Eeeeek!!!! I can't wait to see your card!!!! I just can not get over those pictures! 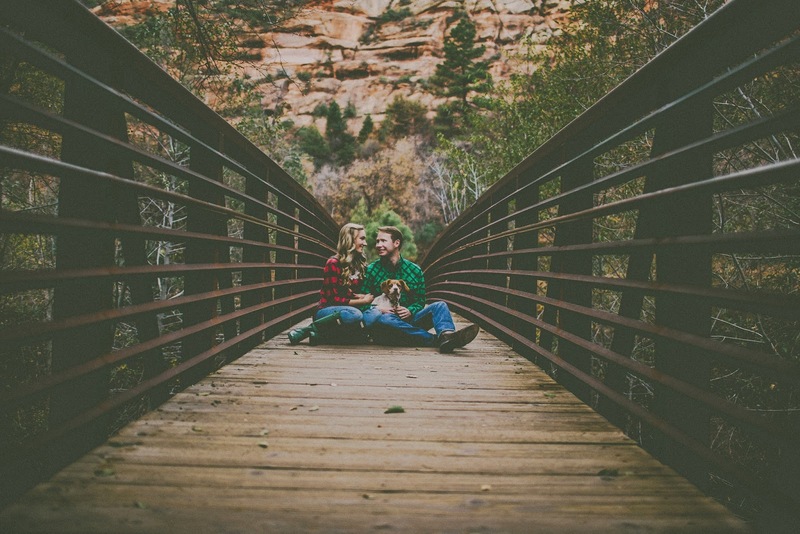 You are inspiring me to get some pictures done, but now I just have to figure out how to get my husband to go a long with it! Those pictures for this year are stunning. If you get a chance, share a picture of the finished product. :-) I always aim to send them out the second week of December too, especially since the past few years we've been away for Christmas. Ours arrived last week and I'm hoping to get them out next week. I hope that you have a great day!! Gorgeous! I just mailed ours yesterday!! Your cards are just beautiful!!!! I wish my husband would be in to something like this!!! Maybe I can at least talk him in to the dogs next year?! Gorgeous pictures! Like out of a storybook! Love your photos from this year - they are gorgeous!! I can't wait to see your cards this year. I just love your photos from this year! They turned out great. Gorgeous! All of them! Can't wait to see this years card! By the way, where do you order yours from? LOVE your cards! You're going to have a hard time picking out pictures for your card this year because they're all so pretty! I was hoping to have ours ordered this week but it probably won't happen till tomorrow night - so aiming to have them in the mail after next weekend. I am the same way with Christmas cards, I try to plan what the perfect date they might get to mailboxes is... not too far ahead but not too close to Christmas when people might have already left to visit family. I cannot wait to see yours this year!! I LOVE looking back at past Christmas cards! Yours are fabulous....but I think this year's card is going to be the best! Those photos are breathtaking! I love love love the skirt you're wearing this year! All of the cards are beautiful! So pretty! I'm obsessed with your 2014 pics, gorgeous! That pink skirt! oh man the 2014 sneak peek is killer. Those are some beautiful pictures, I love the matching plaid, and that skirt!! I love the plaid!! You guys are too cute. Every year I say I am going do Christmas Cards and every year...nope. I think we're last in the game this year! But your cards are so cute every year! I love the shoot for this years! 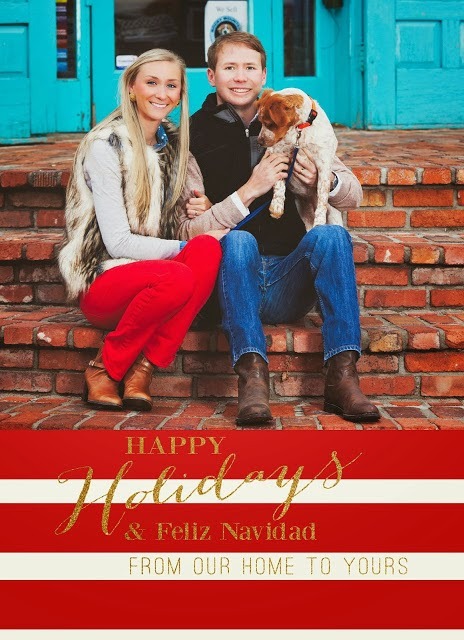 I'm still lovin' the pictures that y'all took for your cards this year! They look like they could be straight out of an advertisement. Why am I not surprised these are all perfect?! Love them & can't wait to see what design you went with for this years card! Oh my gosh they are all sooo cute! You two are just the cutest! you guys. i can't even take it!! that red and green shirt and the tulle skirt!!!!! eeeeeeeek! i cannot wait to see these. They are all SO cute!!! But your pictures from this year are my favorite, so so so beautiful!!! Love.All.Of.These.Cards. But my fave are the pics from this year. 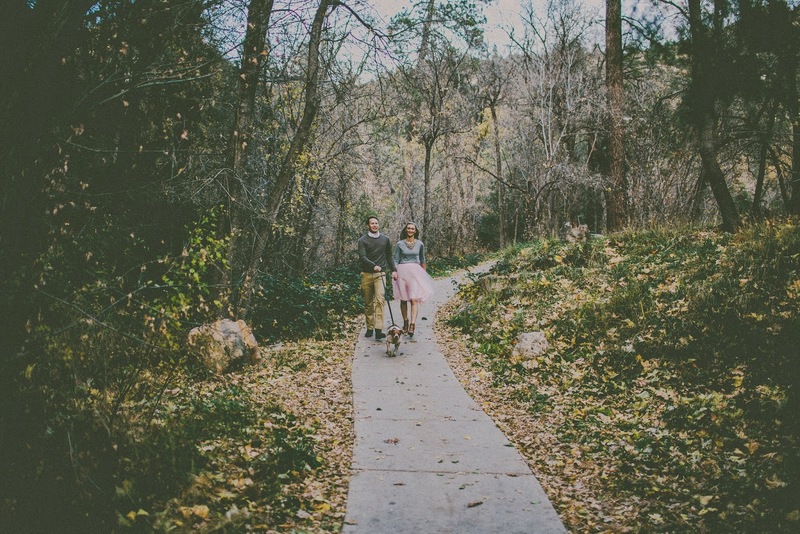 Seriously such an amazing photo shoot! I am so obsessed with your latest shoot!! It makes me miss home so much!